High-quality Amplifier dust cover for GALLIEN KRUEGER 212 GS CABINET. High-quality Amplifier dust cover for GALLIEN KRUEGER 212 MBE 4 CABINET. 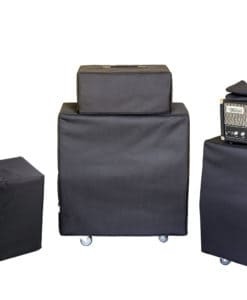 High-quality Amplifier dust cover for GALLIEN KRUEGER BACKLINE 110 COMBO. 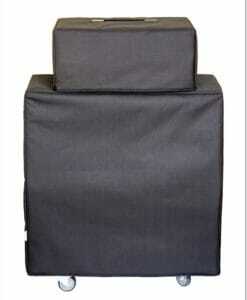 High-quality Amplifier dust cover for GALLIEN KRUEGER BACKLINE 112 COMBO. High-quality Amplifier dust cover for GALLIEN KRUEGER MB 110 CABINET. High-quality Amplifier dust cover for GALLIEN KRUEGER MB 112 COMBO. High-quality Amplifier dust cover for GALLIEN KRUEGER MB 115 COMBO. High-quality Amplifier dust cover for GALLIEN KRUEGER MB 150 E COMBO. High-quality Amplifier dust cover for GALLIEN KRUEGER MB 150 S III COMBO. High-quality Amplifier dust cover for GALLIEN KRUEGER MB 212 COMBO. High-quality Amplifier dust cover for GALLIEN KRUEGER MB 212 II . High-quality Amplifier dust cover for GALLIEN KRUEGER MBE 115 II CABINET. High-quality Amplifier dust cover for GALLIEN KRUEGER MBE 210 CABINET. High-quality Amplifier dust cover for GALLIEN KRUEGER MBE 212 CABINET. High-quality Amplifier dust cover for GALLIEN KRUEGER NEO 112 CABINET. High-quality Amplifier dust cover for GALLIEN KRUEGER NEO 115 CABINET. High-quality Amplifier dust cover for GALLIEN KRUEGER NEO 115 III CABINET. High-quality Amplifier dust cover for GALLIEN KRUEGER NEO 210 CABINET. High-quality Amplifier dust cover for GALLIEN KRUEGER NEO 212 II 2 X 12 CABINET. High-quality Amplifier dust cover for GALLIEN KRUEGER NEO 212 II CABINET. High-quality Amplifier dust cover for GALLIEN KRUEGER NEO 410 CABINET. High-quality Amplifier dust cover for GALLIEN KRUEGER RBH 115 CABINET. High-quality Amplifier dust cover for GALLIEN KRUEGER RBH 410 CABINET.